Uncle Kyle is going back to Iraq. We are so very proud of him. Uncle Kyle and Aunt Mandy, as you may remember, have already gone to Iraq once. Kyle will return for another year, leaving Mandy at home with Greta and Luke. 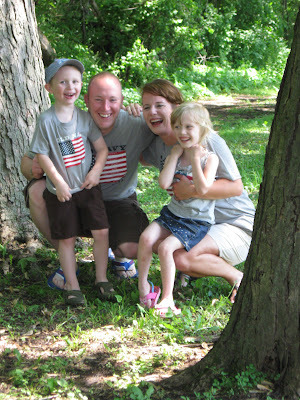 This was their page when they went to Iraq the first time http://www2.caringbridge.org/il/mandykyle/ . We are so very proud of Mandy and Kyle for the sacrifices they make for our country. I am inviting you to the deployment send-off ceremony for the 1644th Transportation Company. Please join us as we send our soldiers off and wish them well. The ceremony will be on Sunday, July 3rd, at 1pm, at the Westwood Sports Center in Sterling IL.